I voted Halo because my nephew still has my copy of GoW3. Halo: Reach ... i should be there, i have some new game types too. Cat n'Mouse, Grab and Hold, Speed Halo, Jump Rope, Avalanche Mountaina and Hall of Balls. All interesting stuff. Sounds interesting. Not gonna vote, but will try to attend if Reach wins. No gaming for me as my account it under investigation! Same thing happened to NursingTitan84 recently. They has it sorted out within about 24hours. Some dude in China was in the culprit!!! You'll be back online in no time!!! Hope so mate, once I found out I changed my password, went playing snooker earlier and got a text off a mate saying that someone was playing FIFA on my account and that person was messaging him, so even after changing the password they still have access and obviously MS have yet to lock down the account, think i'll avoid the 360 until it's sorted, or just play on my other tag! Voted, just to stir the pot - should be able to make it, pending traffic. Ya, disaster Gamerman. As Donnie stated above, the same thing if not similar happed to me a few weeks ago. I got a mail while at work, from Xbox live, stating that an email address had been added to my xbox live account. Xbox live is blocked at work and I couldn't log on through my phone either. The mail stated that a MikeLee with a China domain email account had been added. It was the following morning, before work, before I went on my Xbox and a message popped up stating that my account had been used on another console. I checked my MS points straight away and it had gone down from 4200 MS points to something like 50. At this point I was locked out of my Xbox live account also. I assume this person got control of my account and changed my password. I Googled it at the time at it appears to be a big problem with EA's Fifa 2012 ultimate team. Your account gets hacked, your MS points gets taken and your left with this game showing on your game list with 35 gamer score against your gamertag (forever)! EA are refusing to admit that the fault is on their end and Microsoft are refusing to admit that their consoles have been hacked as a result of their own shortcomings. Anyway back on topic, i've got a few 48hr codes so I may play on my GamerMan316 tag later if i'm home early enough. When they locked your account and you went on your xbox, what did it say? Mine was locked out citing payment options despite that not being the issue, just wondering if your account says the same. You know what the Xbox support team fixed the issue so quickly I didn't really take note. That first morning I noticed my account had been compromised when I logged onto my Xbox, I just got a message stating that my account had been used on another console. Then it was the next day before I got a chance to get on the Xbox again. By then though I had got an email stating that the issue had been fixed and they sent me two redeemable codes to the value of my MS points. At this point I could log onto my account and change the account password. The email address that was added to my account was still on my account so I had to delete it myself. I assume that email address was just set up for the purpose of getting into my account and abandoned there after. 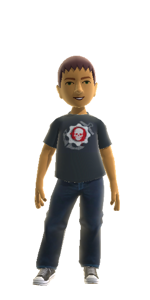 When I turned on my Xbox I could see my avatar floating on the left handside and a shadowed avatar on the right. If I selected the shadowed avatar I could set up a new account or select my avatar to download my account onto the console again. I was shocked at how quickly they resolved the issue. Thought it would be a long drawn out thing. Nice one mate, I was told it'd be a few days but typically my account gets hijacked just before a bank holiday weekend! Ya disaster. Best of luck with it anyway. Hopefully you'll be shooting bad guys online in no time! !